There are so many interesting Killer Whale Facts for Kids! 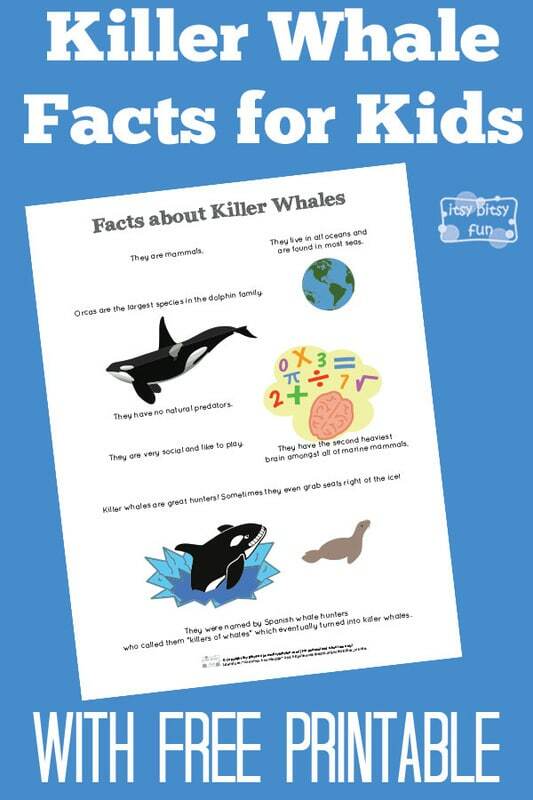 Let’s learn with facts about killer whales for kids! “Learning” is a lot easier with fun facts for kids – super easy to remember and they can even make a great conversation starters for kiddoes. When it comes to this large marine mammal I do have a small confession to make. Although this was (and still is on of) my favorite marine animal as a kid I did not know these majestic swimmers are dolphins. I assumed they are whales (logic would state if an animal is called a killer whale that it be a whale right?). Let’s learn something about orca shall we? Orcas are the largest species in the dolphin family. They live in all oceans and are found in most seas. They are highly social and like to play. They have the second heaviest brain amongst all of marine mammals. Killer whales are great hunters! Sometimes they even grab seals right of the ice! A group of orcas is called a pod. They were named by Spanish whale hunters who called them “killers of whales” which eventually turned into killer whales. 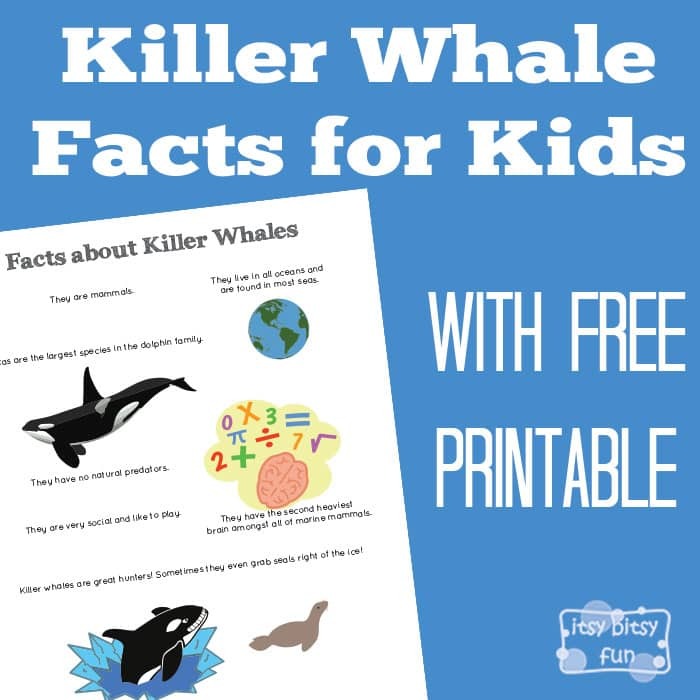 Get your free printable PDF with Killer Whale Facts here.